Where Roots And Wings Entwine: Educational and imaginative play with Schleich. Educational and imaginative play with Schleich. Over the years many of Bug's toys have been outgrown, with only a handful of cherished and durable toys sticking the distance from when he was around 3 to now as a big boy 5 year old. Schleich toys are one of the toys that has been enjoyed for years and are still enjoyed regularly now. 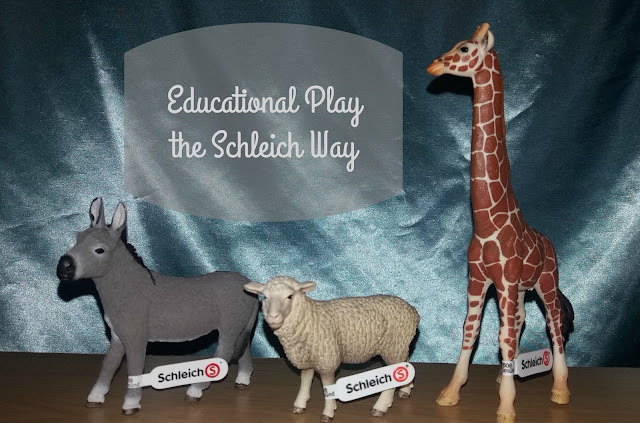 As big fans of Schleich toys we were excited to hear about the 'Educational Play The Schleich Way' campaign. For the campaign Schleich created a 16 page brochure packed full of helpful information all about play in particular imaginative play and the benefits of it for child development. Topics covered in the brochure include different areas of play, encouraging imagination, early language skills and balanced play diet; plus there is fantastic advice from renowned child psychologist Dr Amanda Gummer. The brochure is also filled with handy tips and ideas for parents on how to help children get the most out of play. Included in the play guide are some fun game ideas, some suited to solely play and others suitable for group play, to encourage play and stimulate imagination. 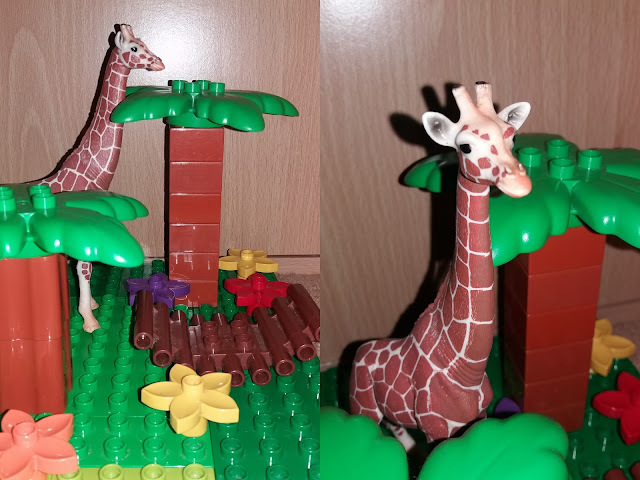 It also highlights way that you can incorporate Schleich's lovely toys into play. At the moment Bug's favourite game from the brochure is 'Animal Restaurant', to see how to play it and get to know the other brilliant and fun games suggested make sure you take a look and download the brochure! Along with the brochure, Schleich also kindly sent Bug some Schleich figures to add to his collection. Being used to seeing giraffe's here in Pembrokeshire in close proximity to farm animals when visiting his favourite place, Folly Farm, Bug was delighted to get a giraffe friend plus a sheep and a donkey to play with. 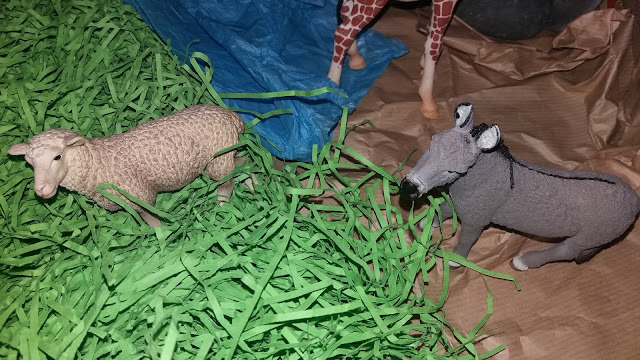 With the high quality Schleich animal figurines Bug's imaginations has run wild as he has enjoyed playing with his new friends in many different ways. 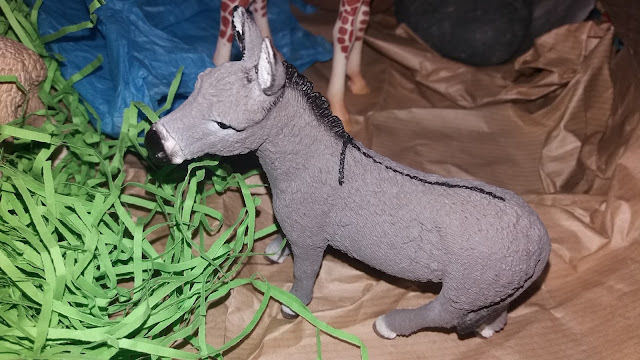 The superbly realistic looking figures are a lovely addition to his growing collection of Schleich figures and as he loves the giraffe so much he has asked to get some more wild life animals to take part in his fun and creative play. 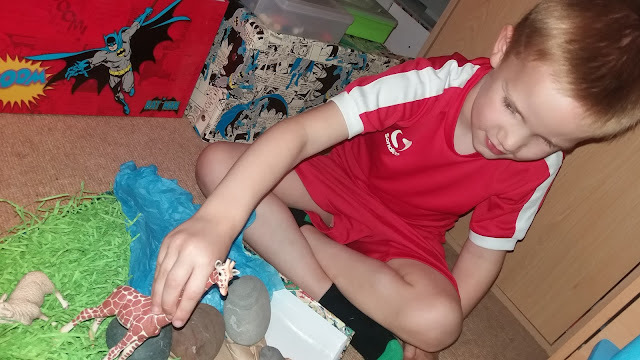 Schleich figures are the ideal tool for imaginative play and I love that as he enjoys playing with his animal friends he is learning without even realising, learning whilst having lots of fun! The figures spark his imagination and are a fantastic way to introduce learning about a variety of topics such as animals, countries, food and so much more. 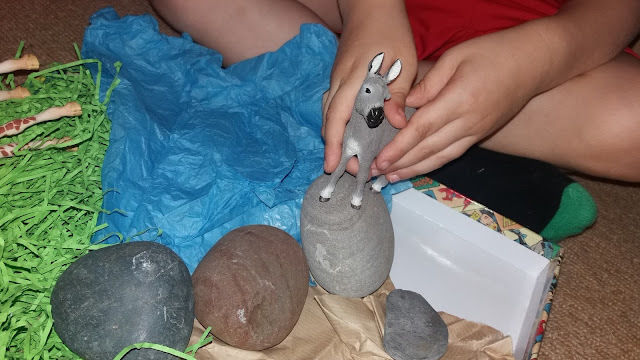 Not only do we love Schleich toys for their educational value and suitability for sparking imaginative play but also because they are beautifully crafted. Each figurine has been hand painted with care to an exceptional standard. These timeless toys are also so robust that regardless of the amount of love and play they see they last so well, with them lasting Bug many years and still being as good as new for when Jelly Bean wants to let his imagination run wild with them. 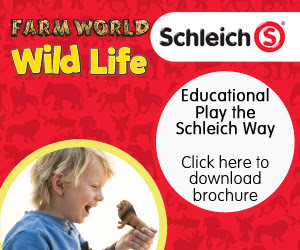 The Schleich 'Educational Play The Schleich Way' brochure is a wonderful resource for informing parents of the importance of play for development and for inspiring play thanks to their game ideas. The brochure is free to download here, so take a look and enjoy the wonderful world of imaginative play with Schleich and their toys. For more information and to view the full range of Schleich figurines and accessories visit the Schleich website. Schleich toys start at just £2.99 and are available on their website or at Smyths Toys Store UK.